Yowzers! I haven't done one of these posts for ages- so of course there's a ton of new stuff! 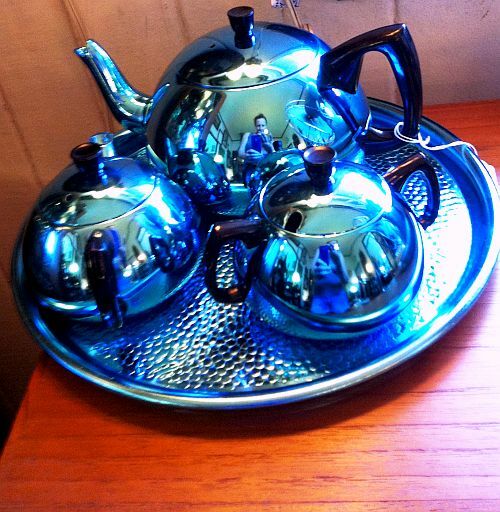 Totally & completely mint condition blue anodised tea set with tray- never ever been used, of course! 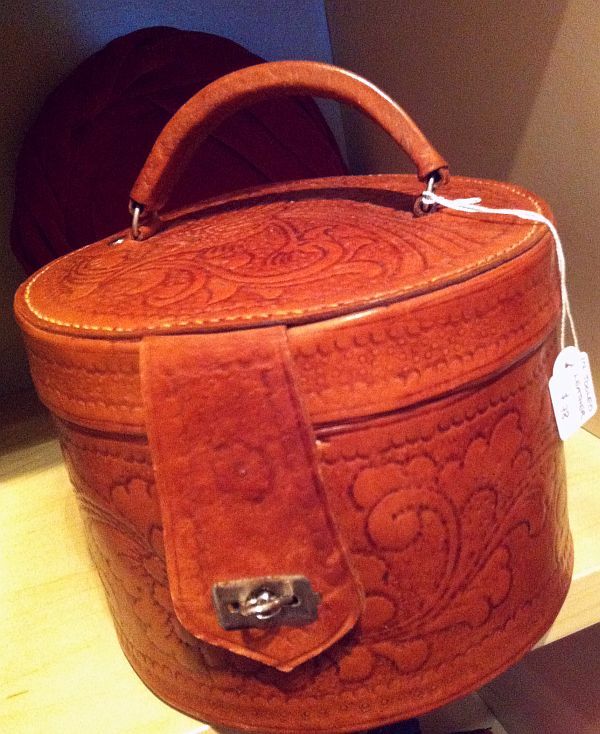 Rare ROUND tooled leather box purse- I challenge my leather 70s-loving friends not to lust over this one!! 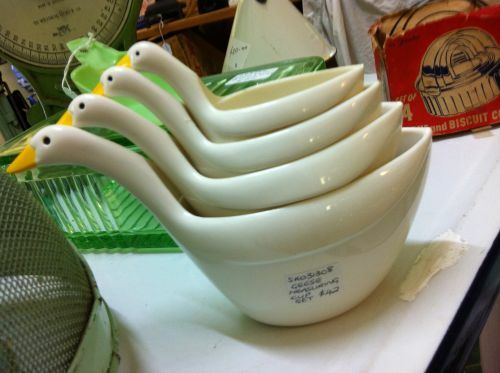 Hard plastic retro figural geese measuring cup set...just too cute!!! 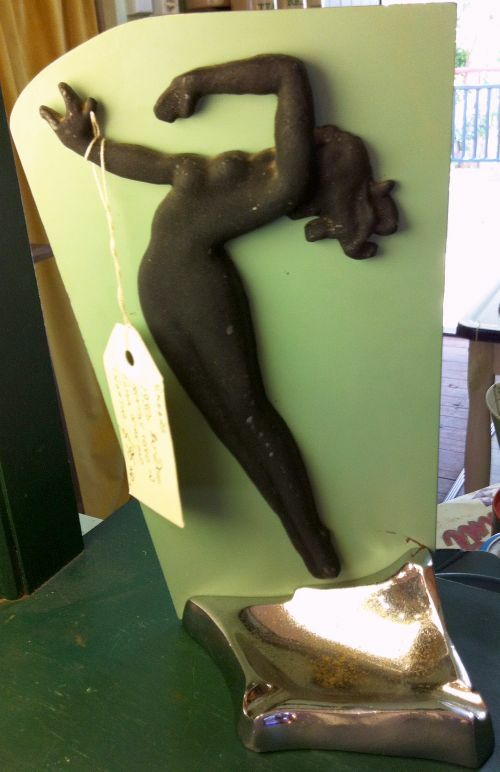 Stylised Art Deco ashtray...but how small is the ashtray, and large the backing plate?? An odd one, to be sure, and we're still debating where it may have come from. 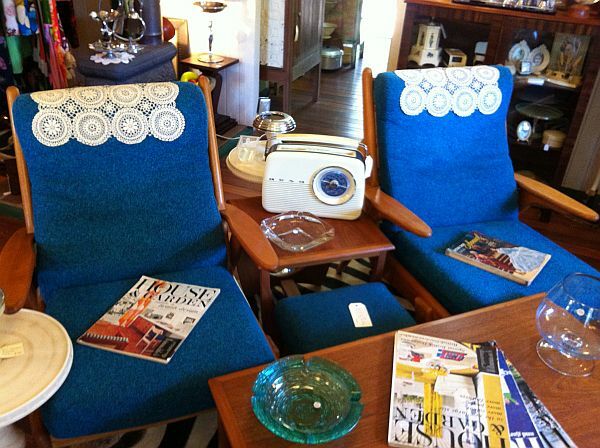 Never mind the daggy doily headrests (they're only there to prevent shop soiling, as are the magazines) - these are some awesome 50s boomerang chairs!! 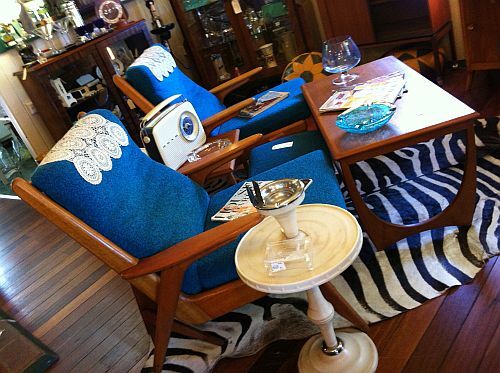 Made in Australia by renowned furniture manufacturer La Fay, this is a fabulous set of three armchairs, all with original wool boucle upholstery AND the original amtching footstool. 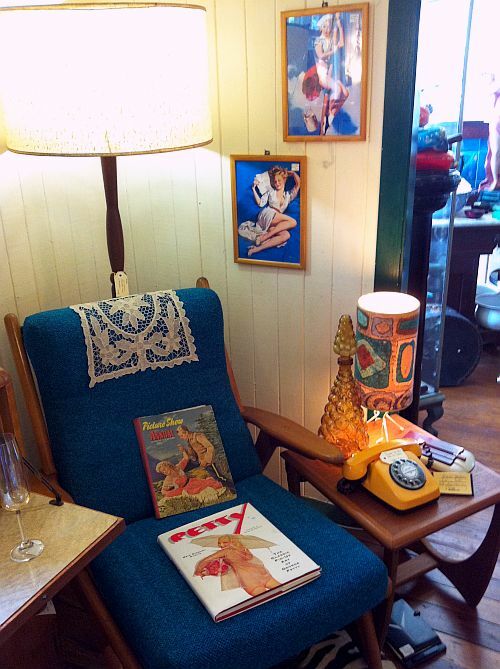 With a genie bottle, barkcloth lamp and 70s phone like that, seriously who WOULDN'T want to come in & take a seat?! Awesome furniture! And the leather box purse is incredible. The reflections in the first photo freaked me out immediately...who is that woman in black on the creamer?! Then I realized it was just the angle...Right? LOL. Let me wipe the drool off the keyboard......that purse is outstanding! I want to come play in your shop! Too many delcious items kitty. Especially those chairs WOW! Oh I just love anodised stuff! Reminds me of childhood. Water always tasted colder and fresher coming out of those cups. @Miss Emmi, I didn't know those cups had been reproduced! These are the old ones though, they were made by Avon and have that stamp underneath. 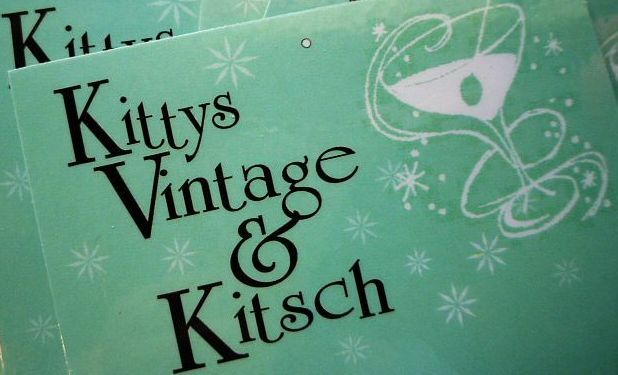 Oh Kitty the tea set is amazing, love that we can see beautiful you in them. that leather box purse it awesome!! !